Frozen (★★★★) - Directed by Chris Buck and Jennifer Lee, from a screenplay by Lee, Frozen is loosely based on Hans Christian Anderson’s fairy tale The Snow Queen and sees Disney make a glorious return to the classical musical-animation, but in stereoscopic 3D rather than hand drawn. Returning us to a magical realm of kingdoms and princesses, with an entertaining adventure tale of fraying sisterhood, cursed sorcery and hapless snowmen, this stunning animated feature is perfect family viewing this holiday season. 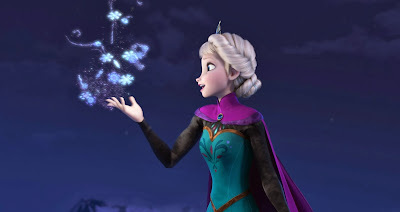 Elsa (Broadway star Idina Menzel), the princess of Arendelle possesses the rare ability to conjure ice and snow. When she accidentally freezes her younger sister Anna (Kristen Bell) as a child, the King and Queen seek help from Trolls who manage to heal Anna, but are forced to remove any memory of her sister’s powers. In order to protect Elsa the family locks themselves away in the castle, with Elsa, out of fear of hurting her sister again, remaining in isolation. A rift develops between the sisters as they grow up, which continues until the day of Elsa’s royal coronation, and the anticipated re-opening of the castle, several years later. When Elsa rejects Anna’s acceptance of the whim marriage proposal by the visiting Prince Hans (Santino Fontana), her secret powers are exposed to all, including the visiting dignitaries. When the entire Kingdom is sent into an eternal winter, Anna, with the help of some companions she meets on her journey – a rouge ice trader named Kristoff (Jonathan Groff), his royal reindeer Sven, and her childhood snowman Olaf (Josh Gad), re-created as part of the magic – set out on a journey through the frozen, snow-capped realm to find and protect Elsa, and help her to save Arendelle. The narrative takes a path into some dark territory without painting clear-cut heroes and villains. The emotional centre is the bond between the two sisters, whose new found freedom is then defined by very different things. While the sisters are never enemies, it is Elsa’s inability to control her sorcery and the repair of their relationship that fuels the film’s tension, and not the necessary elimination of a monstrous threat. Frozen utilises a popular Disney trope of love conquering fear and darkness, but it actually does it in a way that a viewer doesn’t expect. Lee has a bit of fun hinting at the lip locking of a Princess and her handsome suitor, but it ultimately offers up a much more satisfying twist. The voice acting is excellent. Josh Gad successfully delivers dozens of terrific one-liners. These clever jokes are complemented by equally amusing visual gags. Despite the dark content there are pretty consistent laughs throughout, which work just as well for the adults (there are even some Arrested Development references thrown in there for good measure) as for the little ones. With likable, empowering characters, and a fresh element of conflict, Frozen is the year’s most impressive animated feature and a 21st Century Disney classic. For me, it is one of my favourites from the studio since, well, Aladdin. 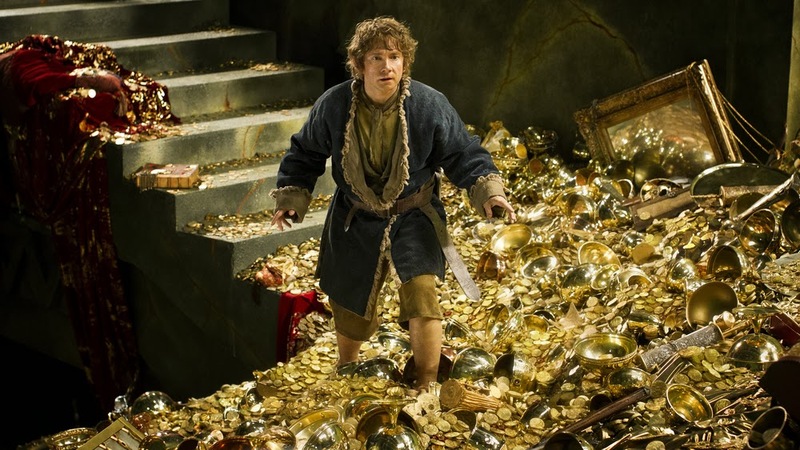 The Hobbit: The Desolation of Smaug (★★★1/2) - The second chapter of Peter Jackson's The Hobbit trilogy is a vast improvement on the pretty disappointing opening one. I saw this in 24fps 3D and was much better for it. The story kicks off with Bilbo and his dwarf company still evading the pack of Orcs on their tale. They take a trip into Mirkwood where they seek refuge with Beorn, a skin-changer who can take the form of a bear, find themselves imprisoned by giant spiders, rescued and imprisoned again by the Wood Elves, and after escaping are eventually smuggled into Lake-Town, which lies at the foot of The Lonely Mountain, by Bard (Luke Evans). From there, they journey to the secret doorstep so that Bilbo can play his role in re-uniting the dwarfs with their lost homeland. Peculiarly, Bilbo doesn't feel like the central character here. He has individual moments to shine - releasing the imprisoned Dwarfs and coming up with the barrel idea, and entering The Lonely Mountain alone to procure the Arkenstone - but he is largely relegated to the background for Thorin. I find that strange, because Richard Armitage doesn't have much of a presence despite his distracting similarities to Viggo Mortensen's Aragorn. On a positive note, some of the individual dwarfs are further developed in this film, which was a feature certainly lacking in the predecessor. With some shoddy acting and dialogue, distracting camera movements, ridiculous Elvish acrobatics, and the Orcs' terrible fighting skills, it is an easy film to mock. But, having said that, it is pretty impressive. Jackson's obsession with playing out a parallel story featuring Gandalf and Radagast, which ties into The Lord of the Rings (Sauron's rise etc. ), remains an unnecessary divergent from the central plot, but the time in Desolation is used more economically than in An Unexpected Journey. The pace is often stalled when we leave the action to visit their enemies in assembly and pursuit. These uninteresting sequences are too frequent, look almost-entirely animated, and lack tension. A long-winded visit to the Wood Elves, where Jackson managed to introduce an awkward love triangle between Legolas (Orlando Bloom), Tauriel (Evangeline Lilly) and Kili (Aidan Turner) was another source of the film's prolonged length. While you wonder sometimes why the whole film isn't animated, the effects are infinitely better in the second installment. 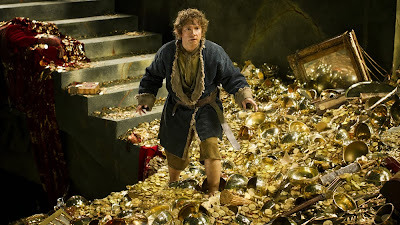 Smaug is an incredible achievement. The final hour is a jaw-dropping spectacle. I am going to end with my initial tweet about this film because it sums it all up in punny glory: "Much better. Barrels of fun at times. Still has glacial stretches, but after Smaug's introduction (how bout that!) it's gold." It is worth sitting through the patchy first two acts to get to Smaug. Overall, this is a much more action-packed and exciting film. I am eager to see how it will all end. 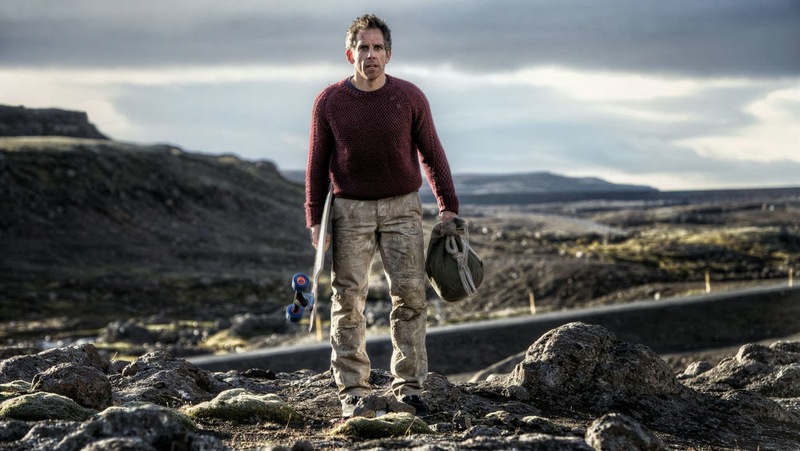 The Secret Life of Walter Mitty (★★1/2) - Walter (Ben Stiller) is a daydreaming, socially awkward working stiff who has been scarred by events in his life and escapes his anonymity by disappearing into a world of fantasies filled with heroism, romance and action. Having worked in the negative assets department at LIFE Magazine for sixteen years, Walter suddenly faces the imminent closure of the magazine, supervised by his bullying new boss (a magnificently bearded Adam Scott). When Walter is entrusted with the final cover photograph - courtesy of friend and photojournalist Sean 'O Connell (Sean Penn) - and discovers it missing, he embarks on a extraordinary global journey (from Greenland to Iceland to the Himalayas) to find O' Connell, using the other negatives as a set of clues. 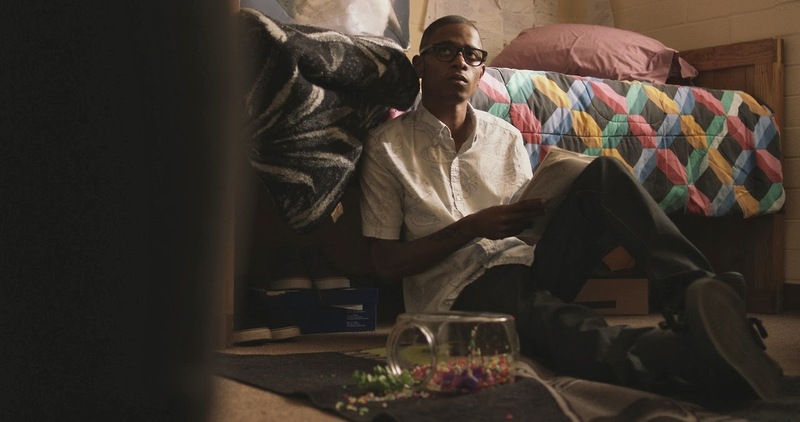 While this pleasant, inoffensive film has an unbridled sense of optimism and ultimately a charming finale, it is very very difficult to suspend one's disbelief and accept that Walter - a guy so lost in his own head, he can barely communicate with those around him - can suddenly become this wild adventurer. The whimsical is off the chain. His encounters stem from one contrived plot development to the next, inexplicably linked by a series of banal negatives. I get that Walter wants to finally live out the life he has been fantasizing about and see the world he has participated in bringing to the pages of LIFE all these years, but I just couldn't go with it. Stiller's ambition is admirable, and his film features some impressively photographed set pieces and effects, likable performances (Wiig, Scott and briefly Patton Oswalt), and a thoughtful message about how a magazine's groundwork and physicality is being eliminated for digital and multimedia alternatives. But, I left feeling a little aggravated. Now, I don't like being cynical but this film brought it out of me. Equipped with more obnoxious music-cues and montages than I recall seeing in a film, this commercial-esque endeavour is neither funny enough, nor has enough character substance, to leave any real impression. There are just too many sins committed here to give a recommendation.